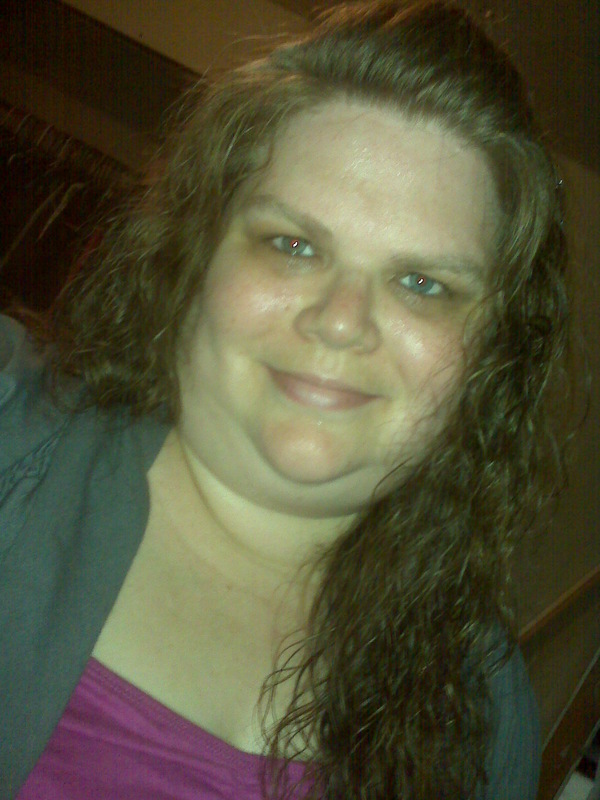 My name is Kimberly Kundinger, I am 34 years old and from Wisconsin Rapids, WI. I was diagnosed with AS in 2006. AS has changed my life in bad ways and in good ways. In away it has been a blessing and a curse all at the same time. I am no longer able to do the things I enjoy like playing piano, sing as a praise singer in church, work, go off roading or do a lot of the things that I really enjoy doing. Life not only changed for me but also for my husband. We had everything planned out with our goals and dreams. Including having children, which we where not able to do due to my AS and other health issues. Going on disability and the loss of income has put a kink in things for us. We’ve had some very hard times with our finances while I was unable to work while waiting to get approved for disability. I miss going to work I enjoyed working and had the perfect job but I was no longer able to physically meet the needs of the position. Even though me being sick has been hard on our marriage it has strengthen us as a couple. It has given me a different out look on life. I have way more compassion for others then I ever did. I see life in a different perspective. I guess you could say I’ve learned to slow down and smell the roses. My faith has helped me tremendously. With out my faith in God I don’t think I could handle things the way I do. God gives me the strength to face each day and each challenge as it comes my way. My husband and I got involved with church just a few months before I was diagnosed with AS. I know that without my faith I would of gave up a long time ago. I am also thankful for groups like this that remind me that I’m not alone dealing with AS. It helps to have someone else who knows what I go through to talk with. I am thankful for a husband that loves me and sticks besides me. The Lord also used this disease for me to have a greater compassion and empathy for others, regardless of the level or type (physical, emotional, spiritual, etc) they are having. Pain is relative and some can handle a little and some can handle a lot. It is not for us to judge. I just recently made the final decision to stop working (finally listening to the docs) and it has been difficult. I understand when you say you love to work and you loved your job. I feel the same. Thank you for sharing your story! I have recently begun going to church, and already I am finding that it is helping to fill a void in my life. It gives me the faith that I need to get through the tough times. Can you tell me how long it took for you to be awarded disability? Were you approved on the first try? I recently applied but found out I was denied. I have now submitted the request for a hearing. I am working with a disability advocate, so I am hoping it’ll better my case. I have had a very difficult time with this disease and have been unable to work because of it. I am devastated because I loved my job. This is now how I envisioned my life would be at just 30 years old. However, God has other plans for me…I know that now!